http://www.osaka-info.jp/jp/ Official site of Osaka sightseeing information provided by Osaka Tourism Bureau. 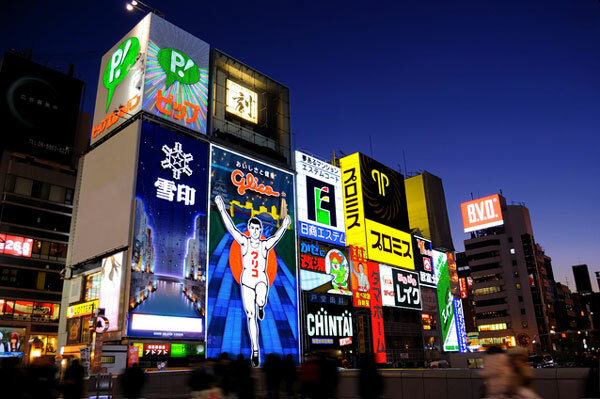 Sightseeing facilities search, accommodation search, gourmet search, shopping search, event search, model course search, tourist information office search can be done. 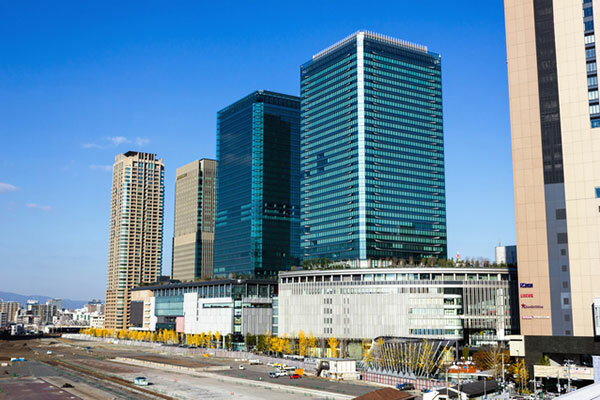 Osaka Station City Official WEB site. 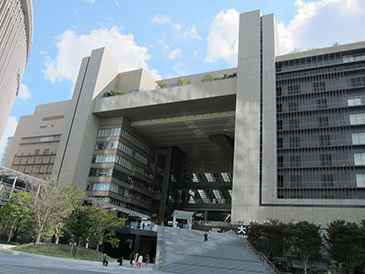 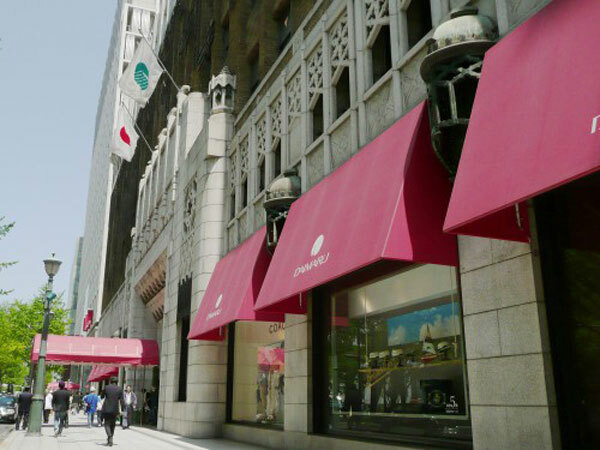 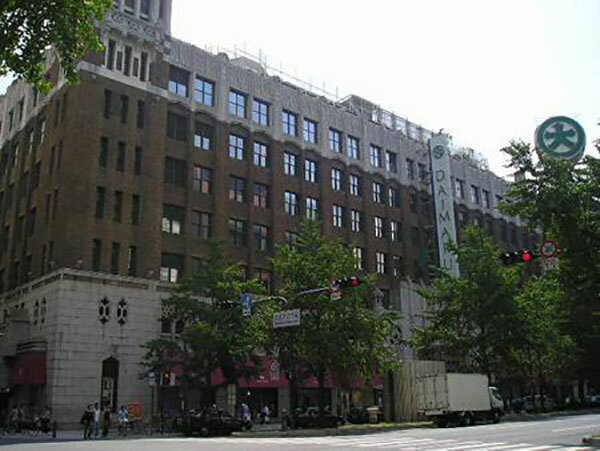 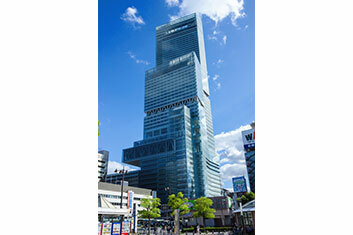 There are various facilities such as South Gate Building, North Gate Building, Osaka Station premises, and so on. 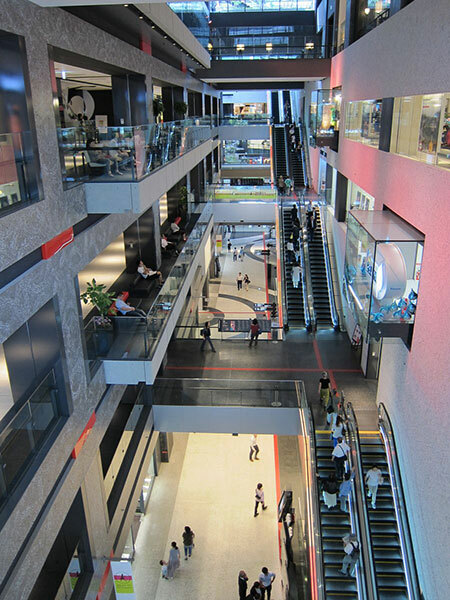 Please enjoy shopping, dining, esthetics and movie appreciation. Umekita Preceding development area Project. 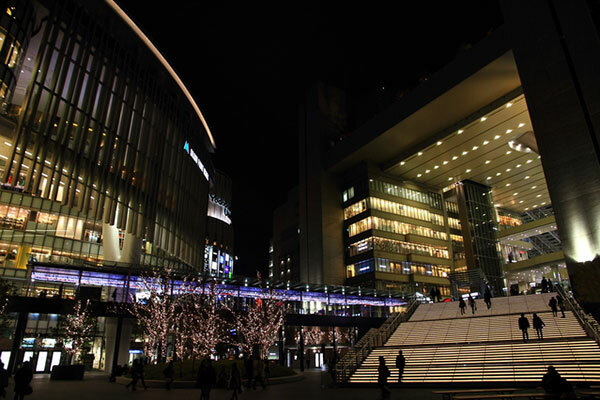 This is the official site of Granfront Osaka. 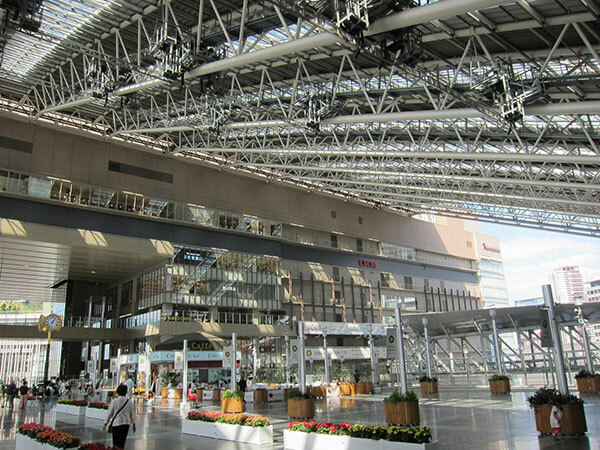 It is a large complex commercial facility adjacent to JR Osaka station. 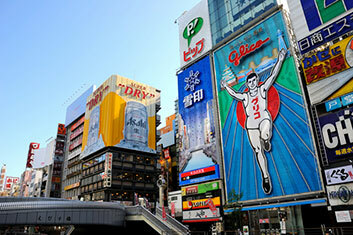 Please do to come and visit the 3 large sights in north part of Osaka. 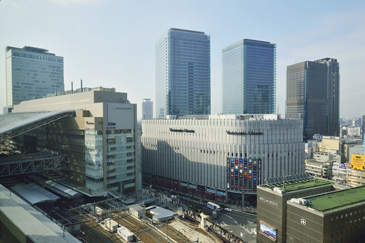 8 minutes on foot from Osaka station. 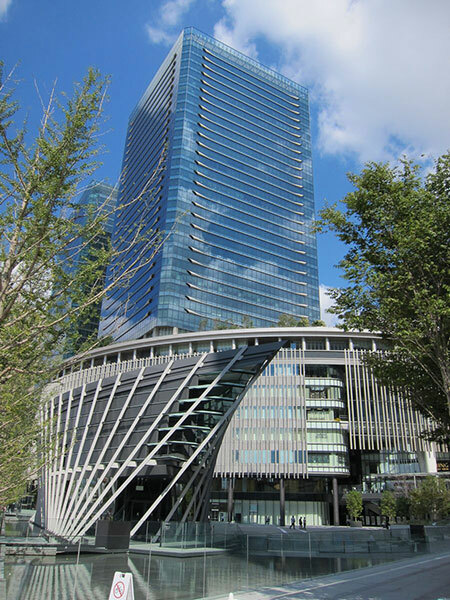 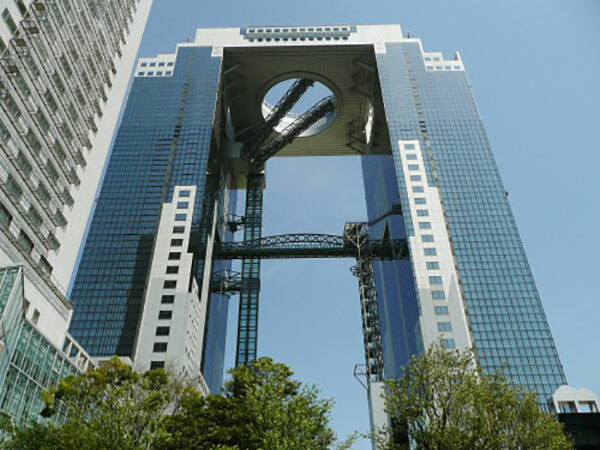 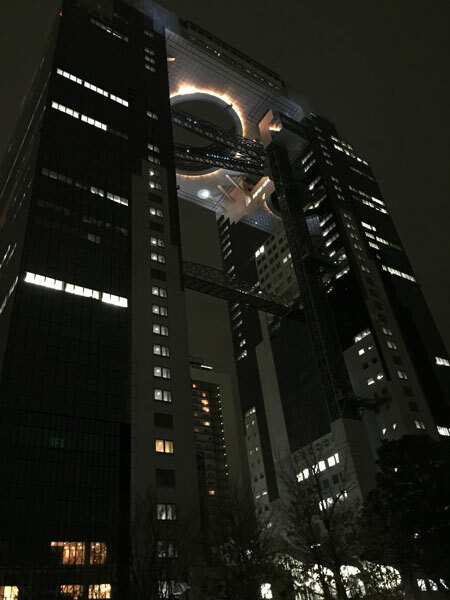 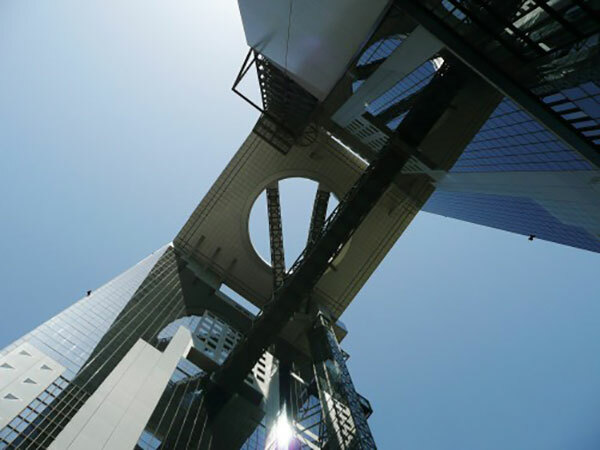 We introduce the unique facilities of complex city Shin Umeda City which consists of Umeda sky building and Westin hotel. 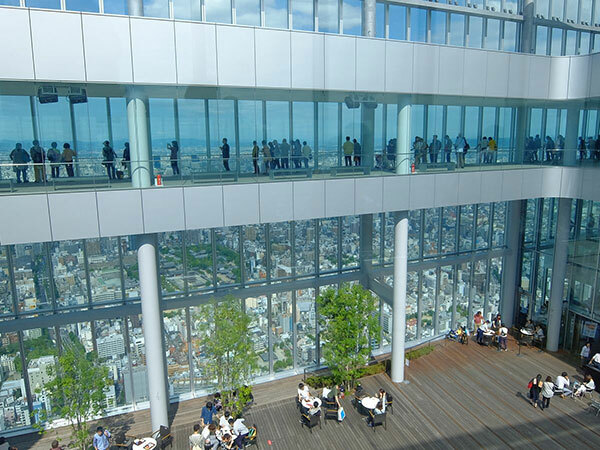 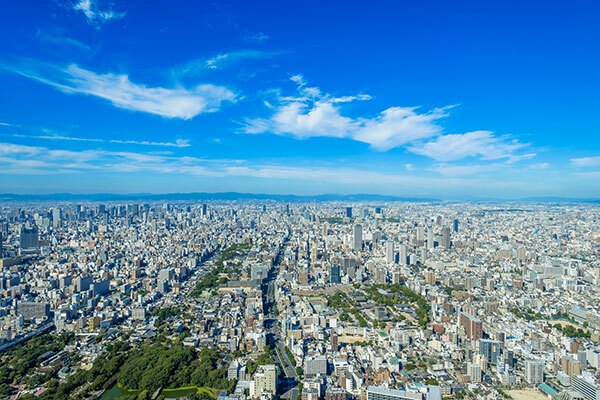 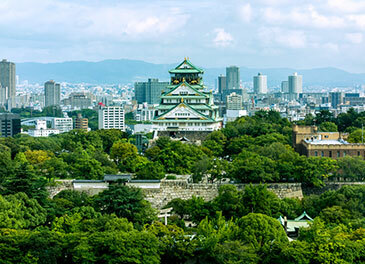 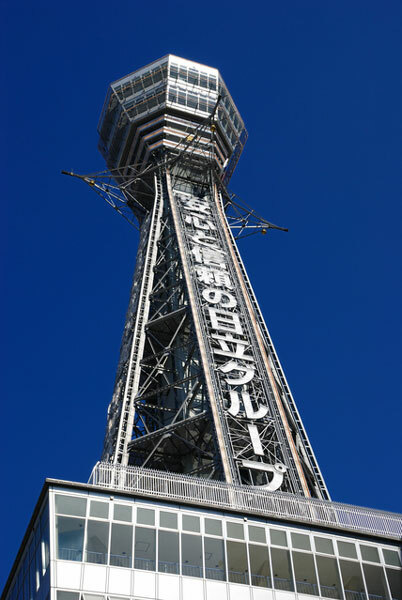 You can overlook Osaka city from the aerial garden observation deck, which is 170 meters above from the ground. 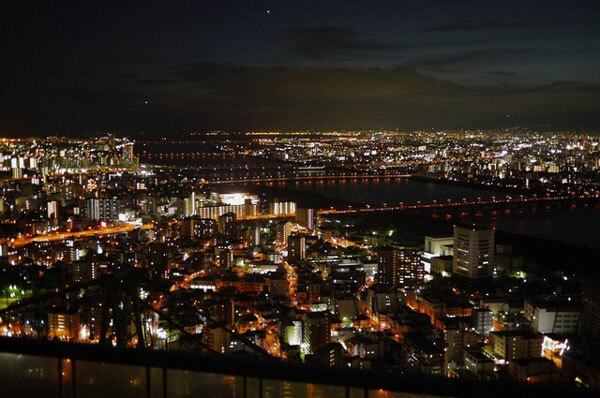 If the weather is nice, you can watch over Kobe, Awaji Island, Shikoku and Wakayama area. 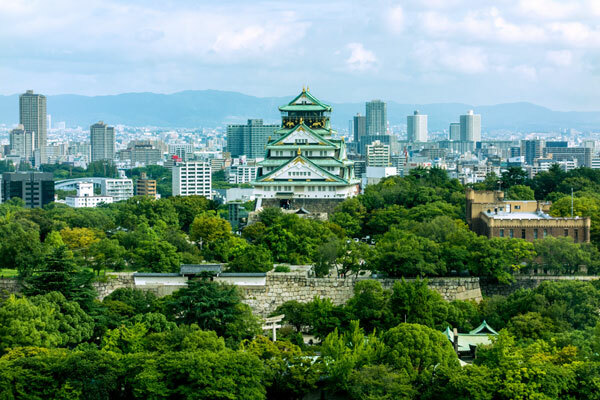 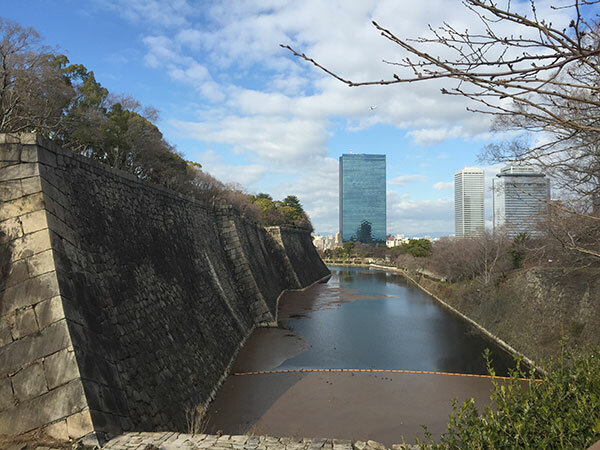 Osaka Castle Park with Osaka Castle tower, which is full of historic romance as its core, is a city park located in the center of Osaka. 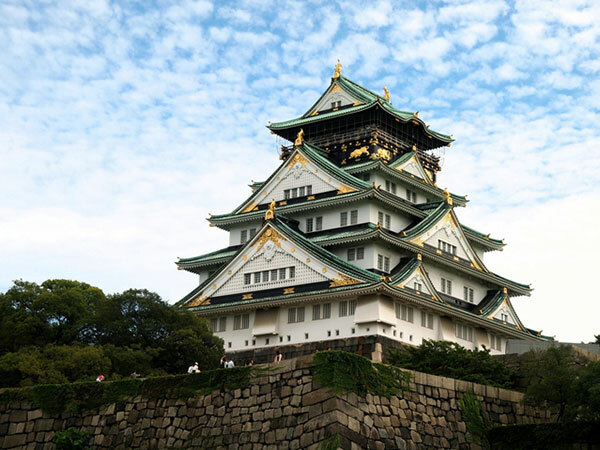 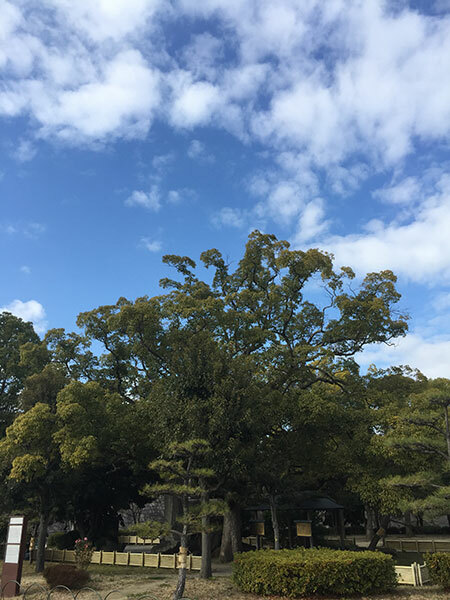 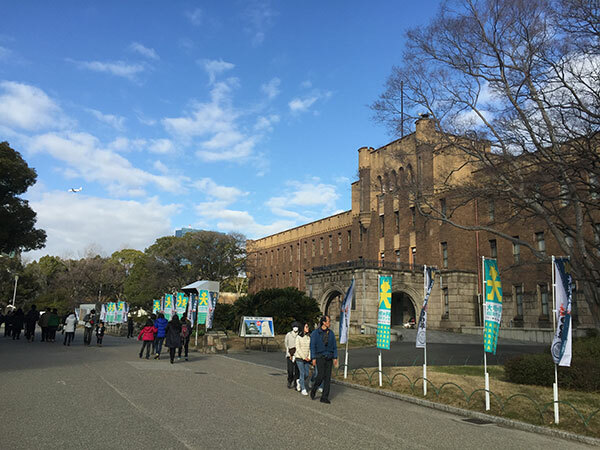 It’s a good resting place for citizen who could enjoy the flowers of four seasons, overlook the whole Osaka Castle and the moat, and those like to give a concert in the music hall or like to do sports on the baseball field and jogging course. 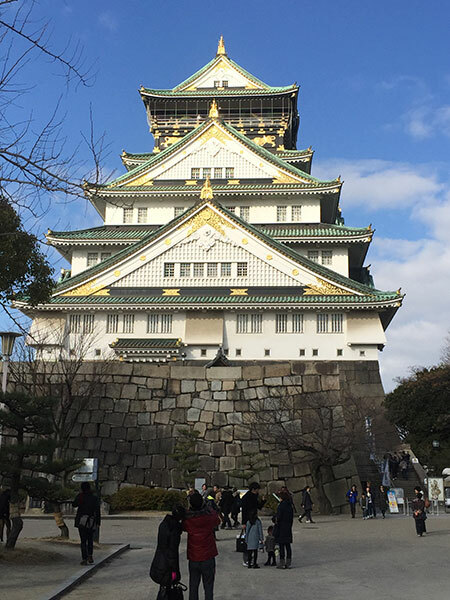 Osaka Castle is the most popular spot in Osaka Castle Park, and it is always crowded with visitors from Japan and abroad. You can enter the hall and climb to the castle tower, from which you can see the city in Osaka. It is the official homepage of Shinsaibashi shopping area in Osaka · South part that includes about 180 franchise stores information. 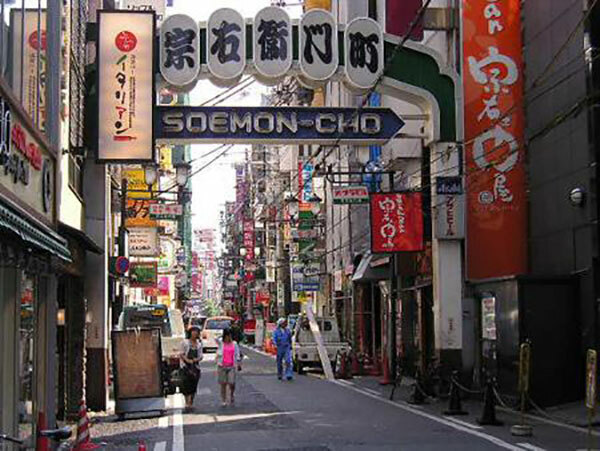 Various searching functions, including MAP search, are provied with multiple languages. 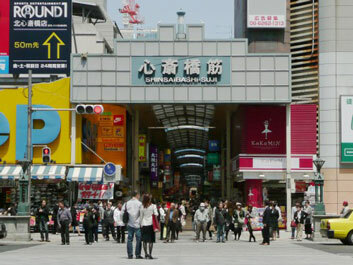 Shinsaibashi shopping area is famous for the shopping mecca in central Osaka. 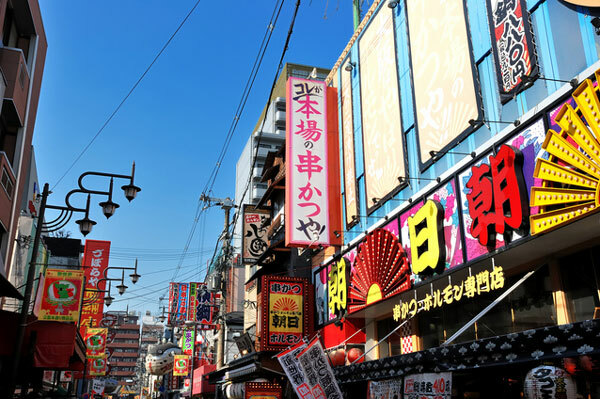 Here we offer a variety of products and service, ranging from well-established stores such as Daimaru Department Store to shops for young people. 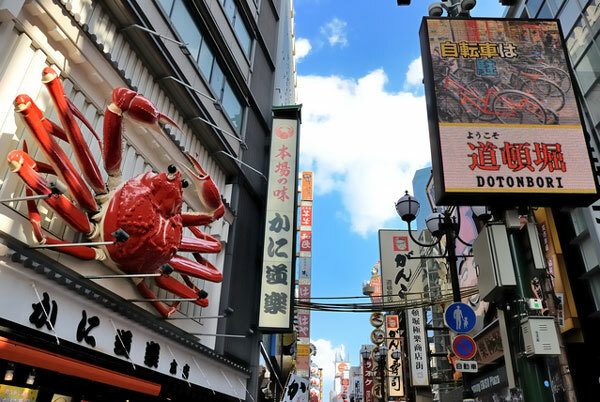 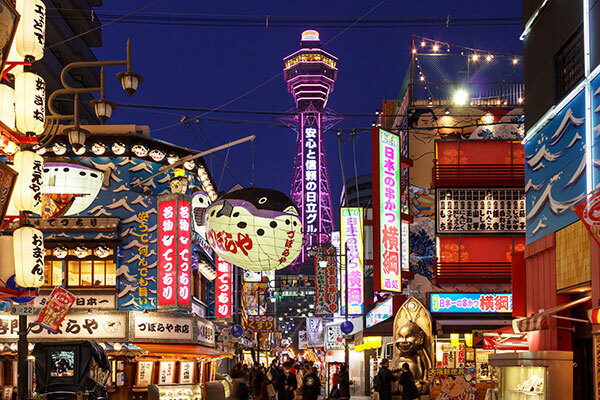 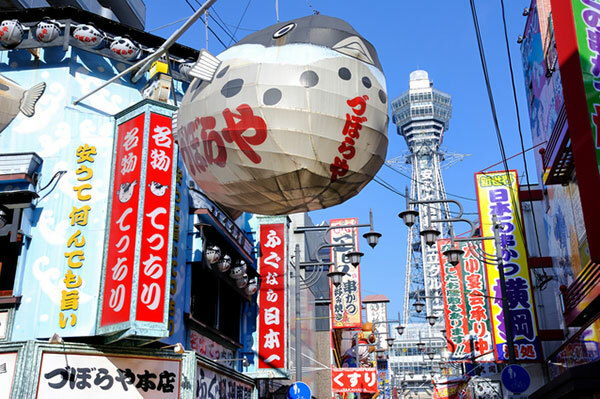 Official website of “Dotonbori Shopping Association”, which is located in downtown area of Osaka · South part. 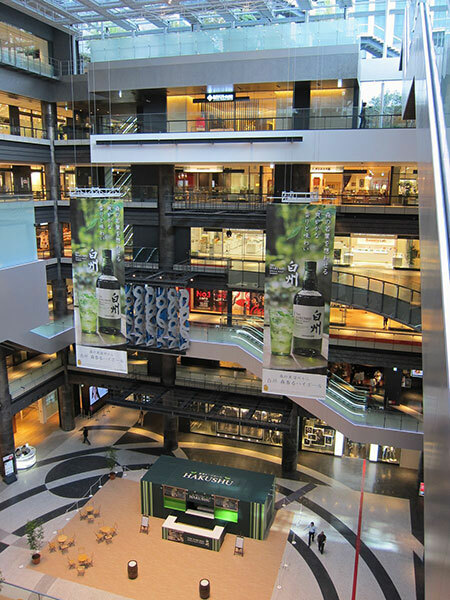 Shop information about gourmet, shopping, souvenirs, information of theaters and sightseeing is posted. 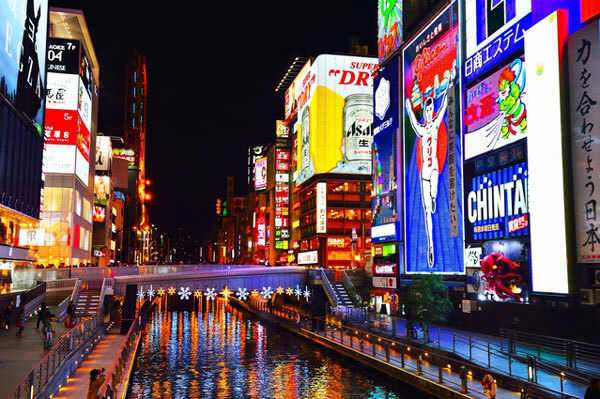 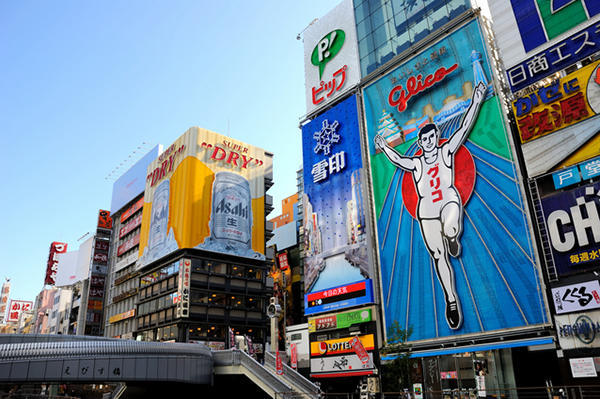 Please come and visit Dotonbori City where you can enjoy day and night. 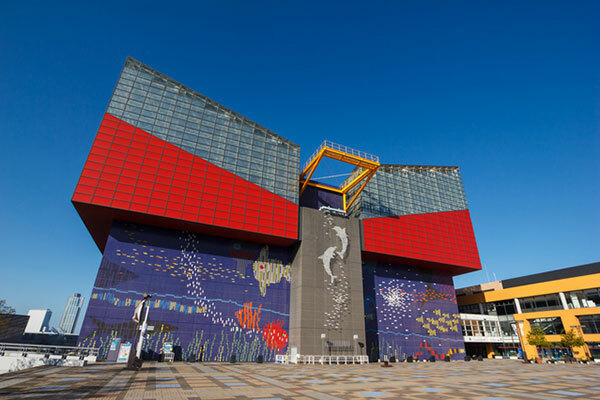 The largest aquarium in the world, “Osaka Aquarium” is located in Osaka Tempozan. 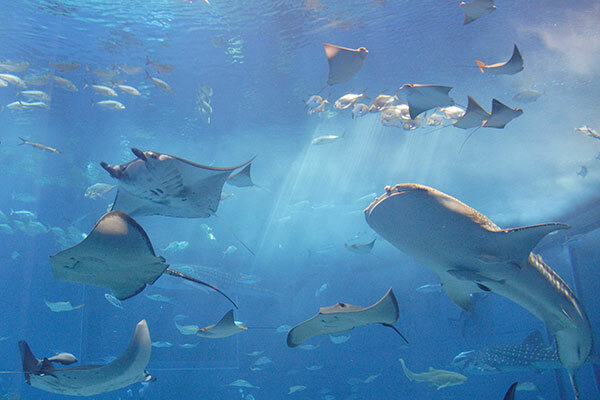 620 species, 30,000 sea creatures with the real appearance will give you the impression of life and entertainment. 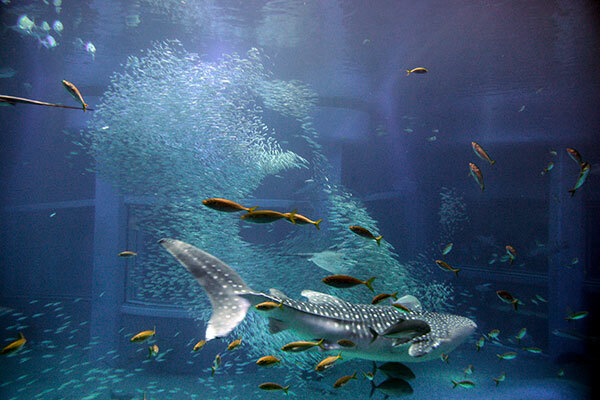 We also could learn the wonderfulness, preciousness and wonder of life through wathching the real things. 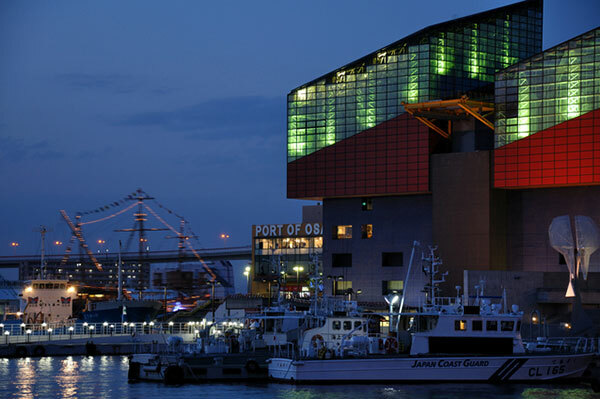 Let’s leave for a dynamic sea trip over the Pacific, where both adults and children can enjoy. 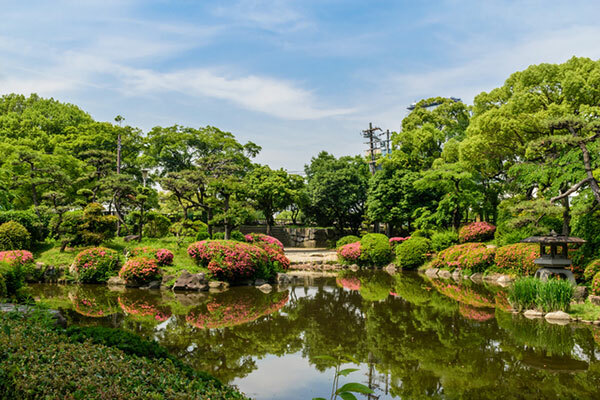 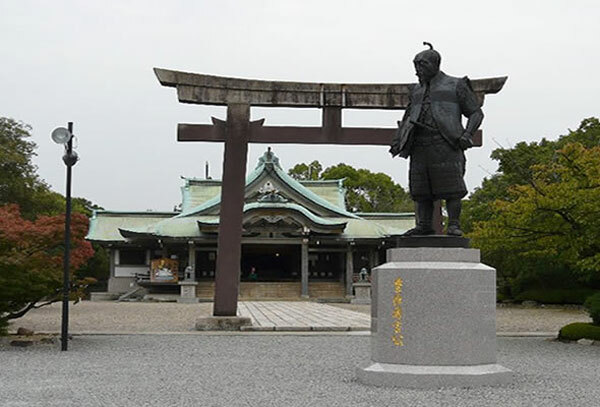 A popular place for girls and children, a hidden dating spot, it is entertaining Osaka sightseeing spot popularity rankings. 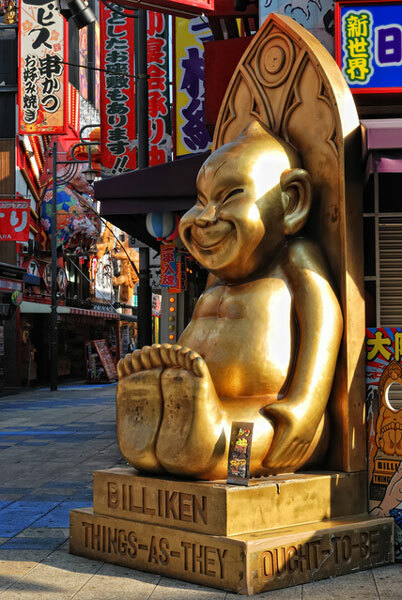 The night view is beautiful from the golden observatory where Happy God Billiken stands. 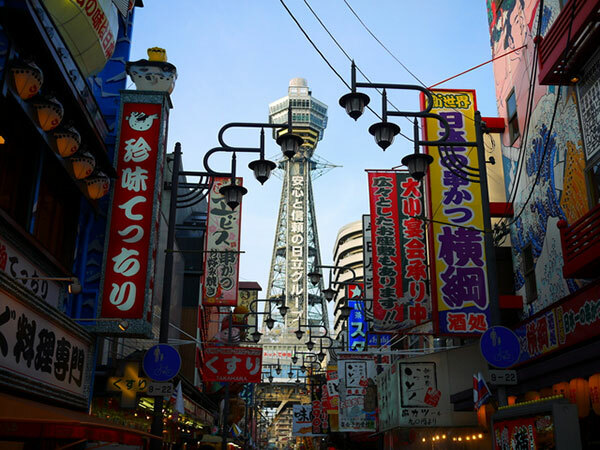 Famous Tsutenkaku parfait’s mother ranch cafe · Osaka sightseeing, gift, souvenir · sweets and food antenna shop (Morinaga · Guriko · Nisshin) etc. 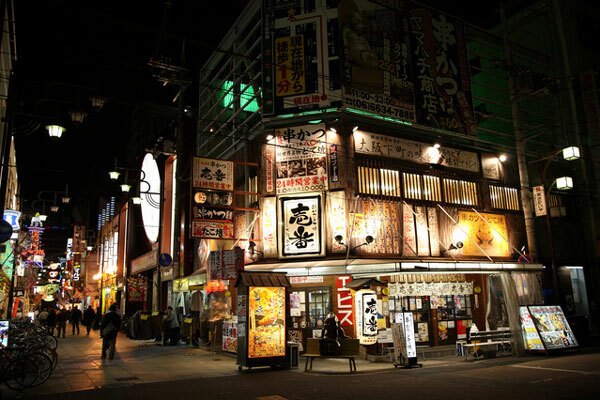 A hot place! 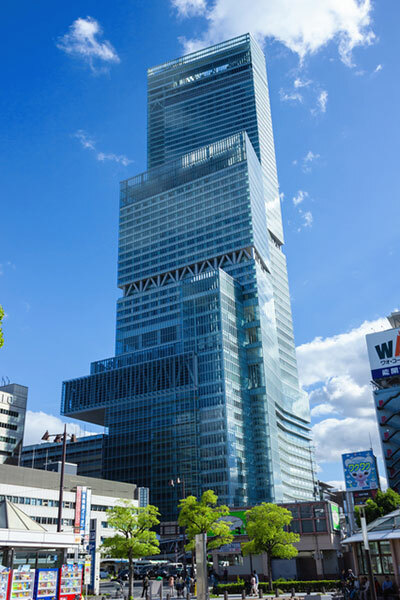 Tennoji │ Abe no Harukasu – To the tallest building in Japan! 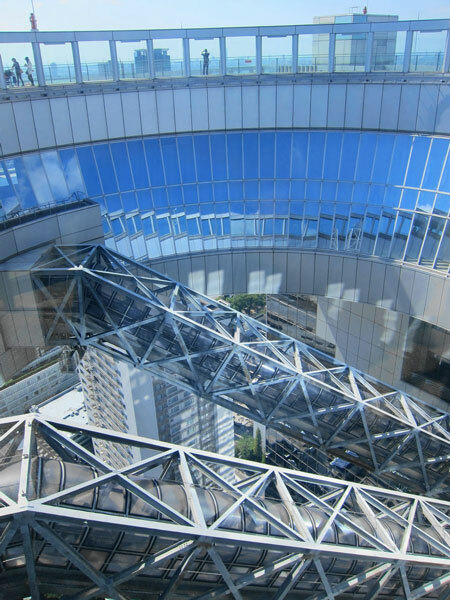 Official website of “Abe Harukasu”, which is 300 m above ground, the top skyscraper in Japan. 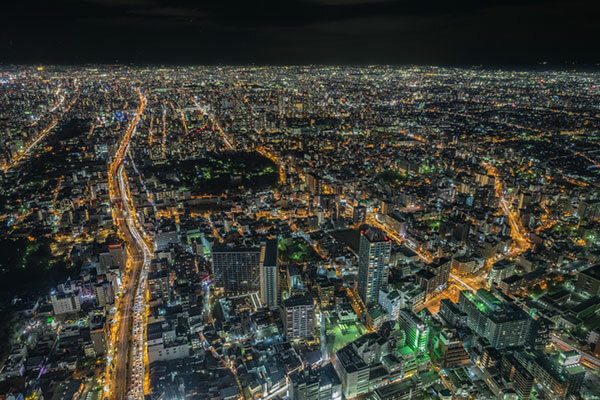 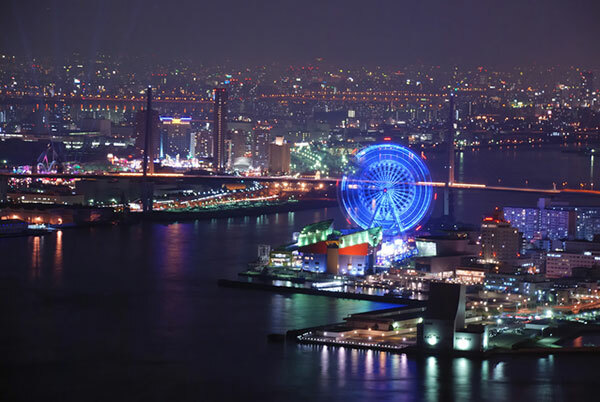 Overlooking Osaka city on the observatory at day and night is a magnificent view. 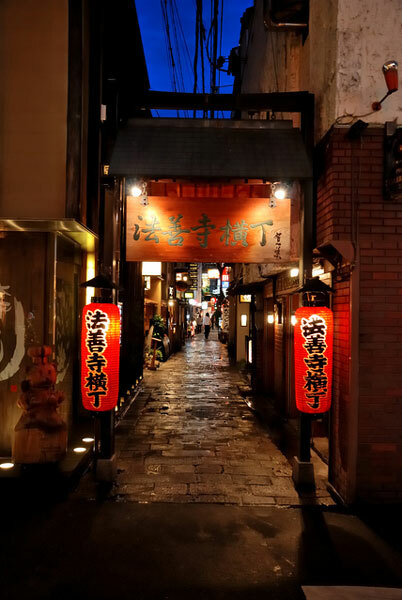 Please do enjoy shopping or eating at a restaurant. 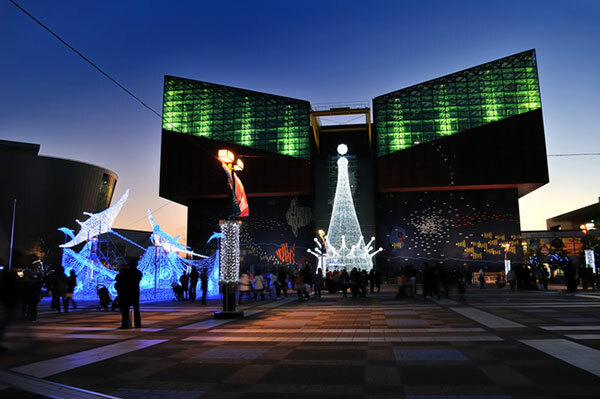 Please do come when you are visiting south part of Osaka.